They tell you this is our land. They tell you we live in a land of peace. They tell you that we live in a land of plenty. They tell us we live in a land of harmony. They tell us we live in a land of hope. They even tell us we are her people…the workers, the strivers, the builders. They tell us it is THEM “fighting against the mutilation of our hopes and dreams. They tell you they care about the “builders of our world, the struggling, the fighting, the bleeding, the dying. bringing us they dystopia of 1984. One has to wonder what is happening in the world when the RICH and FAMOUS of “Who’s Who in America?” bring us into George Orwell’s world of “1984”? Who is doing the brainwashing? Who are the new propagandists? “In theory, everybody buys the best and cheapest commodities offered him on the market. In practice, if every one went around pricing, and chemically testing before purchasing, the dozens of soaps or fabrics or brands of bread which are for sale, economic life would become hopelessly jammed. To avoid such confusion, society consents to have its choice narrowed to ideas and objects brought to its attention through propaganda of all kinds. There is consequently a vast and continuous effort going on to capture our minds in the interest of some policy or commodity or idea. Certainly, if Bill and Melinda Gates are masters of ANYTHING, they are masters of propaganda, a word softened by using language like “public relations”. How else would Gates build their monopoly at Microsoft on an inferior product? Have Melinda and Bill Gates slipped this time? After all, they seem to have been successfully hiding their dystopian plans for America quite nicely from average American consumers behind their propaganda until now. But where did all this propaganda, this “public relations”, marketing, advertising, and consumerism begin? 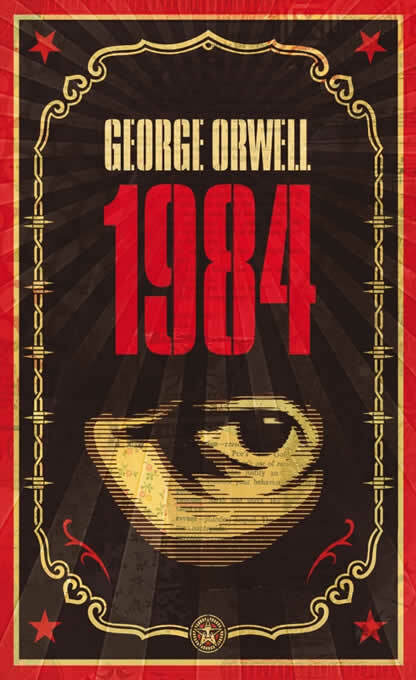 Let’s look back further….back to the last great depression, post war 1928... back to another time of dystopia —– and review a bit more of Edward Bernays. During that time, long ago in that post war-time of dystopia, Sigmund Freud was an uncle of a man named Edward Bernays. Bernays wrote his book “Propaganda“ in 1928. “Many of the new insights that Tye offers have to do with Bernays’s relationship with his family and his uncle Sigmund Freud, whose reputation as “the father of psychoanalysis” owes something to Bernays’ publicity efforts. 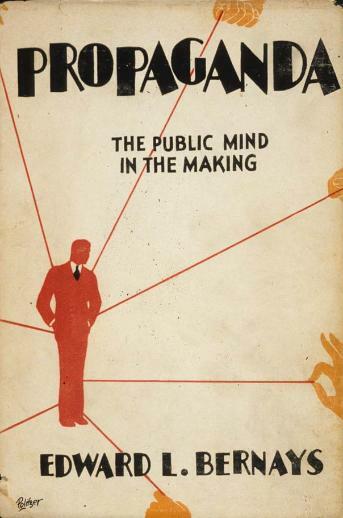 Bernays regarded Uncle Sigmund as a mentor, and used Freud’s insights into the human psyche and motivation to design his PR campaigns, while also trading on his famous uncle’s name to inflate his own stature. So here we have it. Propaganda could be used for good to serve the needs of the individual needing psychological support or it could be used for subversive thought control of others to serve the needs of the propagandist. 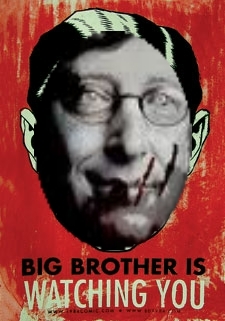 It is evident that Melinda and Bill Gates are using their brand of propaganda for subversive thought control of others to serve the needs of the propagandist. Now the Gates are about to step up their game, increasing their mastermind of thought control through another area of expertise for them — technology. So what am I basing my statement on? I’m basing it on Susan Ohanian’s discovery of public documents on the Gates Foundation grants page on their own website. And of course on previous research which you can read through my prior blog posts, especially this one on Melinda Gates and where their children attend school compared to the policies they push forth in public schools via their propaganda. I’ll show you their documents directly screen printed from their website below as evidence. Leonie Haimson read Susan Ohanian’s post and quickly sent an email around to Parents Across America. One of the recipients on this list was Diane Ravitch, Education Historian, former Assistant Secretary of Education, and author of “The Death and the Life of the Great American School System”. 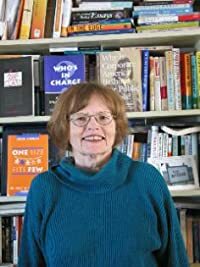 Diane’s reaction was probably similar to many’s when she received Leonie Haimson’s email about Susan Ohanian’s futuristic and frightening discovery. 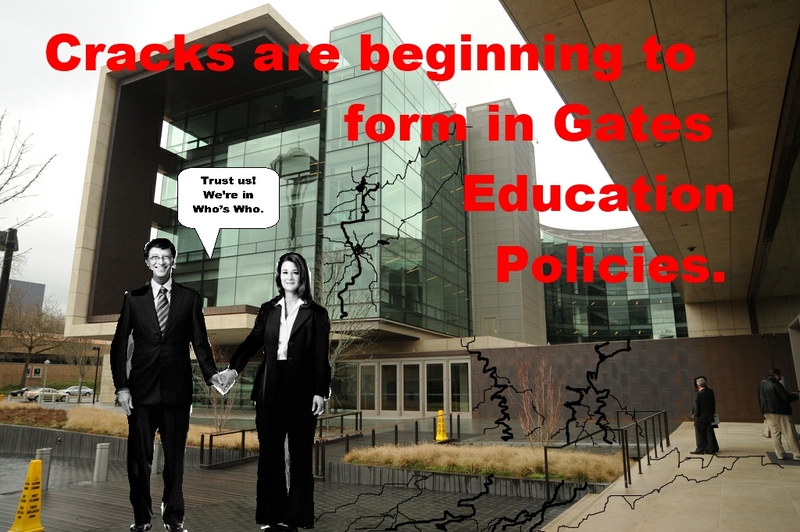 Could it be that there is a crack in the foundation of the Gates Foundation’s education policies that are created to promote their real agenda through propaganda? Could it be that they went too far this time with their belief in “innovation and technology”? Actually, we find the Gates are constantly pushing for innovation, but if they were to study propaganda, they would find that their method of thought control actually prevents innovation. If they have studied propaganda, perhaps that is the real purpose. After all, isn’t innovation the opposite of thought control? While novels have been written, their authors contemplated the realities of a “Brave New World”. “Huxley is deeply suspicious of science, and he imbues Mustapha Mond with this same suspicion. Science in Brave New World does not seek to learn higher truths. It merely exists to keep the status quo in control. “All our science is just a cookery book, with an orthodox theory of cooking that nobody’s supposed to question, and a list of recipes that mustn’t be added to except by special permission from the head cook,” says Mustapha Mond (225). True science would be a threat to the stability of the society that Mond has spent so much time attempting to create and sustain. The only kind of scientific innovation permitted in Brave New World is innovation that, curiously, stifles innovation. “We could synthesize every morsel of food, if we wanted to. But we don’t. We prefer to keep a third of the population on the land. For their own sakes – because it takes longer to get food out of the land than out of a factory,” says Mond (224). What exactly are the Gates’ plans for these “electronic bracelets”? More sorting and culling of children and teachers? Who is going to volunteer to be the teachers and students wearing these devices and just what is next? Shock collars? Answer a question wrong? Zap! Students aren’t engaged enough? Zap! Student is overly excited? Zap! Teacher pauses to collect her thoughts? Zap! Evidently this kind of galvanic skin response experimentation has already taken place on those easy to control, the “mentally retarded” as this separate study says. If you have seen the movie “1984”you know of the torture involved. What do you call sending a child to school for 12 years, only to not allow them to graduate simply because they failed ONE high-stakes test? What do you call sending children to school without art, music, PE, recess, or electives? What do you call selecting and culling children, preventing them from attending charter schools funded by the wealthy that have fantastic programs, preventing “culled children” from attending due to race, class, or ability? I don’t know about you, but as a special education teacher, I am outraged at this experimentation with people who are not capable of true consent. Will children and teachers have any say in the Gates’ experiment either? 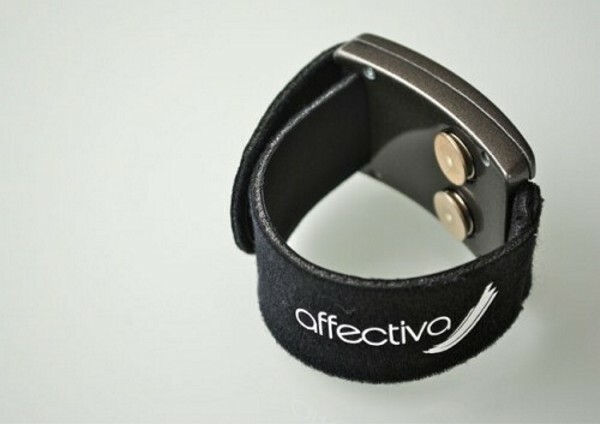 Or will galvanic skin response bracelets be the next federal mandate? Buy Common Core and get one galvanic skin response bracelet free for the first 12 students free —- we’ll sell you all the rest for profit? Well, they’re going to use these ‘electronic galvanic skin response bracelets“ for their “Measures of Effective Teaching Project“ and “student learning”, of course. Susan Ohanian tells us about it on her website. 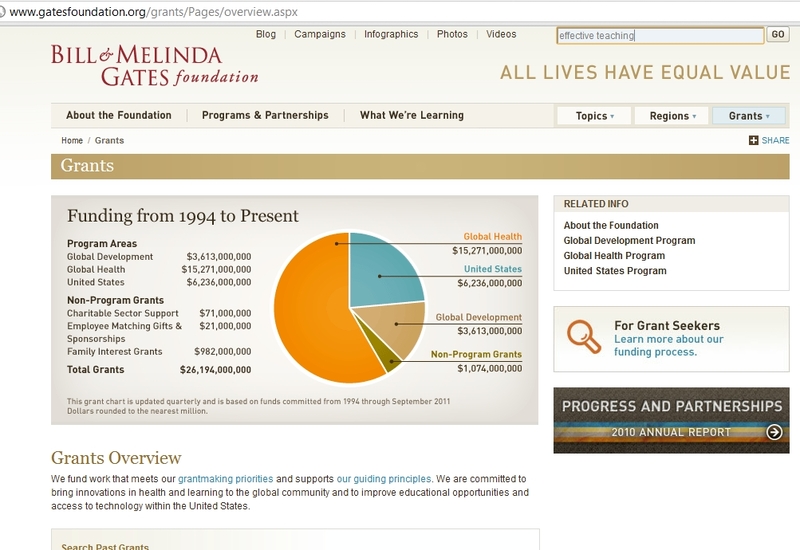 She suggests we look this up on the Bill and Melinda Gates Foundation site. What will we find when we search, I wonder? 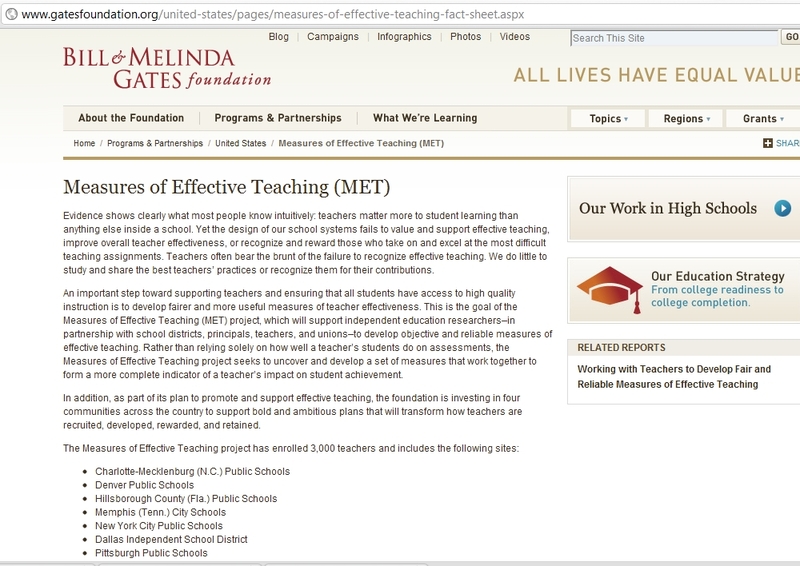 Let’s look at the purpose of their Measurements of Effective Teaching Project [MET]. We all need to start reading more carefully. We all have to start questioning what we read. Note the “ALL LIVES HAVE EQUAL VALUE” propaganda. Note the “WHAT WE’RE LEARNING” propaganda. And finally, note the ‘MEASUREMENTS OF EFFECTIVE TEACHING” propaganda. “As the co-founder of The Bill & Melinda Gates Foundation, the world’s largest philanthropic organization, Melinda Gates has spent decades looking at the challenges and potential solutions to the problems facing America’s education system. The foundation controls over $30 billion, which its staff uses to pursue the goal of giving every child an equal opportunity to thrive. The majority of the money goes to reducing obstacles such as poor health and malnutrition in developing nations. But in the United States, the focus has been on identifying and supporting ways to fix the inequalities within a public school system, where schools in high-poverty areas fall far behind their more affluent counterparts and other countries in terms of graduation rates and academic achievement. Okay, so the common ethos here is that because Melinda and Bill Gates have been pouring their money into public education, they are experts, and because they have more money than you are I; they are infallible. If we act on this belief, we take everything they say, all their policies as truth, no? 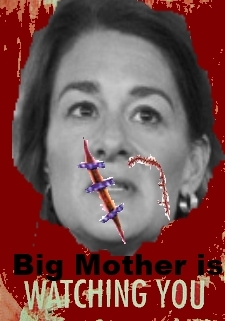 Here’s her video on PBS where she plays out the expert role, an expert, that is, at spewing her propaganda. Well, now let’s change our minds. Let’s change our ethos and believe something far different. Let’s believe that Bill and Melinda Gates are pushing propaganda for a less than altruistic motive. Let’s just say it’s something as innocent as remaining the richest couple in the world and to do so, they need to break into the frontier of public education testing, Common Core curriculum for every child in America, text books for every child in America, technology from Microsoft for every child in America, teacher professional development and teacher training for every teacher in America, and so on. Certainly the $8 Billion expected as profits from the textbooks alone, on top of the implementation of Common Core Curriculum ought to add something to their coffers of cash. 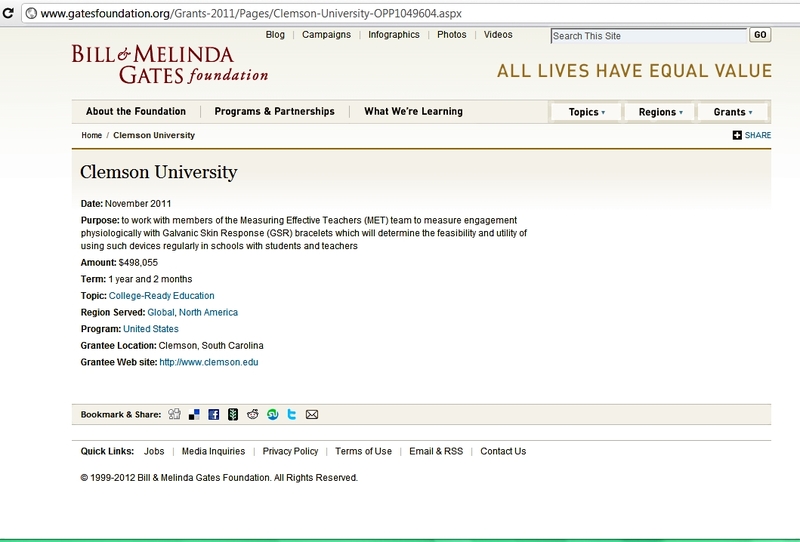 Note: Gates has partnered with Pearson on Common Core. “As public schools implement a new set of nearly national curriculum standards, publishers are expecting a wave of demand for new textbooks, tests and teacher preparation. The guidelines will reshape how students learn math and English in 45 states. The total cost isn’t clear, but a study to be released Wednesday by the Thomas B. Fordham Institute says the price tag could be as high as $1 billion to $8 billion. So let’s shift our ethos to understand that the Gates promote propaganda to help sell products for profit. If this new ethos is true, then let’s deconstruct the purpose of the Gates’ MET Project first statement as we begin to think about the idea of using galvanic skin response bracelets to measure good teaching and learning. Here is the final Bill and Melinda Gates Foundation screen shot showing the grant to fund the galvanic skin response bracelets for teachers and students. Evidence shows clearly what most people know intuitively: teachers matter more to student learning than anything else inside a school. “Well, are there ineffective teachers? I’m sure there must be. I’ve heard stories of ineffective teachers. And I certainly don’t think there should be even one ineffective teacher in any school. And it’s the job of the administration, the job of the principal primarily, to make sure that no ineffective teacher ever gets tenure. Once they get tenure, all that means is — it doesn’t mean they have a lifetime job. It doesn’t mean they get paid for breathing. It means that they have a right to due process. If, after getting tenure, the principal says, I want to fire you, they have to have evidence. They have to have a hearing before an impartial administrator. That really is not such a burdensome thing. But it’s very clear that this is not the key problem in American education, because the lowest performance is not in union districts. The highest performance in America is Massachusetts, Connecticut and New Jersey. These are three states that are all union states. What does Diane Ravitch think of Melinda Gates and Bill Gates influence on education through their so called, “philanthropy”? How does Ravitch view the Gates’ ethos of “expertise” in education? “Well, I have a chapter in my book about — I call them the billionaire boys club. The billionaires boys club is led by the three biggest foundations in America, the Gates Foundation, the Walton Foundation, the Broad Foundation. These are the three billionaire foundations that give a lot of money to American education. And it has been given to push the privatization movement forward, as well as to put a very heavy emphasis on testing and test scores as part of teacher evaluation. I think that — you know, I’m a historian. So, I look back and I say, there has never been a time in our national life where foundations, which are accountable to no one, make decisions about what our education policy should be. Sometimes, they make the wrong bet. And the Gates Foundation is a very good example of this. They put $2 billion into breaking up large high schools into small high schools. And after doing that for almost a decade, they said, whoops, that didn’t work. We’re not going to do that anymore. Now we’re going to put the focus on teacher evaluation. And so the immense amount of money, the hundreds of millions of dollars that the Gates Foundation and now these other big foundations are pouring in, they are directing the national conversation. And I think that’s not — it strikes me that that’s in some ways not democratic. 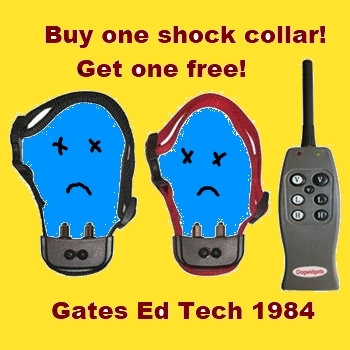 Now that the Gates Foundation is placing money into the hands of the developers of galvanic skin response bracelets to add to their data bank on teacher evaluation and student learning, what’s next? From Geeko Systems we see that a bracelet isn’t really needed. All this can”data” be tracked by something much like a temporary tattoo. “A team of researchers from the University of Illinois Urbana Champaign have developed small electronic devices that can be worn on the skin. These temporary tattoos make the person wearing them a part of the device, which can bend, stretch, and move along with the skin. The researchers were hoping to make less obtrusive medical monitors for special needs patients, like premature babies, but the new sensors have proven so successful they could also be used for a variety of other applications. The idea of making wearable sensors that adhere to the skin seems so easy and useful it’s surprising no one has developed them before. According to researchers, the major challenge in developing the technology was making the parts of the sensor as flexible and stretchy as skin. To do this, the researchers had to take brittle silicon and make it more bendable by making the sensor incredibly thin. The electronic parts of the sensor, light-emitting diodes, solar cells, transistors, and antennae, were assembled in an S-shape that would allow the circuits to still work when stretched in different directions. The sensor components are stuck between two protective layers of the polymer polyimide, and these layers sit on top of a rubbery film of silicone that attaches to the skin using weak chemical bonds. The device adheres similarly to a temporary tattoo, which disguises the sensor grid and makes it stick longer. The electronic sensor is less intrusive than other electrode-based monitoring systems that require bulky wires. According to the researchers, the devices can pick up heartbeats when stuck on the chest, skeletal muscle activity when on the leg, and brainwaves when on the forehead. In their trials of the device, the researchers recorded signals from a thin wire that relayed data to a computer. The sensors were able to collect accurate data for up to six hours and showed no sign of skin irritation where they were attached after 24 hours. The potential for these devices goes far beyond just tracking heartbeats. The researchers tested their sensors to see if they could control a computer. When adhered to the throat, the device was able to read the electrical activity of the muscles moving when the test subject spoke the commands up, down, left, and right. This proved to be a successful way to control a computer’s cursor as it moved through a maze. So far, the device can be powered by wireless coils and solar cells, and the researchers hope to improve the devices’ power storage capabilities. The researchers believe that in the future these devices could even run on the energy from body heat or stray electromagnetic signals. Right now, the researchers are focused on the biomedical applications of this electronic sensor temporary tattoo, however, even with a multitude of medical possibilities, there are other ways this technology could be used. One example, aside from controlling computer movements, is CIA interest in developing the technology as a way for agents to silently communicate with one other by tracking the muscle movements that correspond with words. 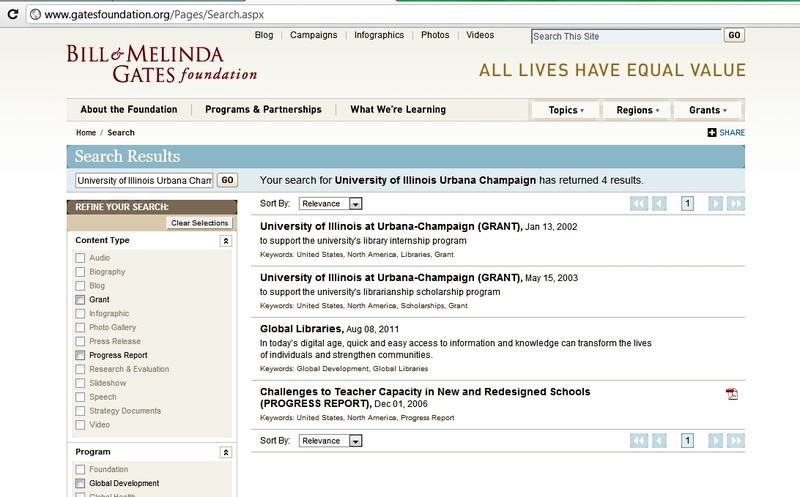 I had to see if the Gates Foundation is “building partnerships” with the University of Illinois Urbana Champaign where these devices are being developed. Although the relationship to these devices is not clear, certainly the partnerships are “being developed” through grants from the Gates Foundation to this branch in the University. <sigh>… It’s only a matter of time. What if the Gates and the rest of the “Billionaire Boys Club” ethos isn’t quite so innocent? What if public education by corporations were being used a a tool to deliver permanent NeoSlavery? And what if this is only one facet of a much larger systemic problem in America and across the globe? What if the entire time our own country’s moral principles have been in place to give you a false sense of equity and choice, a false ethos of propaganda? Our freedom would be at stake, our democracy would be a sham. Could we have been a sham all along? Remember when women, the people of color, the poor, began to question our founding fathers about equality? Oh, ya. That’s right: equality was just for the rich, white, male land owner of privilege. Are we persuaded into our labor by the mere hope of equality? Our country seems both obsessed and anesthetized by consumerism. I think Melinda and Bill Gates are counting on it. Counting on our buying every one of their monopolized products and agendas. What if Melinda and Bill Gates, by controlling public education were also able to control government and democracy? 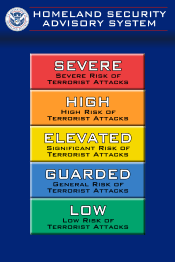 Now the real question becomes: What are you going to do about this threat to our freedom? Here’s what Senator Bernie Sanders has to say about America’s freedom. 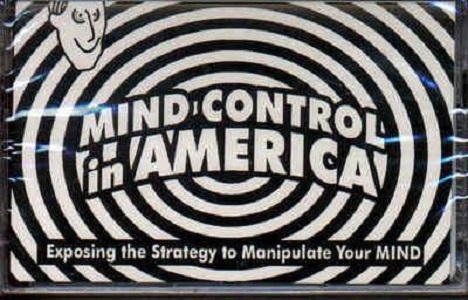 Edward Bernays taught the corporations how to market their products to you by pushing your buttons. The thought police are growing stronger and we must resist. O’Brien: Power is tearing human minds apart and putting them back together in new shapes of your own choosing. Stop believing the propaganda of corporations. Think critically about EVERYTHING you read and view. Determine your own truth and trust your intuition, your “gut” reaction. STOP CONSUMING! They need us! We don’t NEED them. This is their weakness! Listen to expert professionals, not corporations. Speak up against corporate control over a profession that is complex and leave this work to the professionals who are educators. Demand the education policies in place that require high stakes testing be stopped immediately. Demand a moratorium on all testing that is NOT teacher created, that is not diagnostic in nature to benefit authentic learning through prescriptions created by expert teachers. Write letters to your school board, letters to the editor, op-eds, your superintendents, your congressmen, your state department of education, the federal department of education, the president of the United States. Blog, read, share your information via email, Facebook, and Twitter expansively. 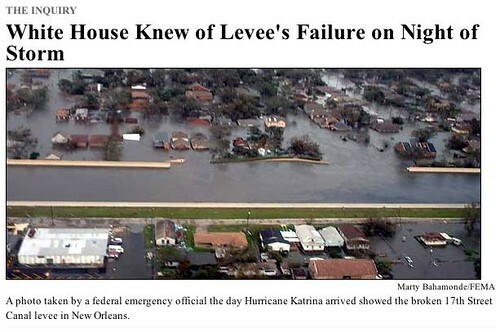 Tell your neighbors. Tell your friends. Speak out! Protest: The Gates Foundation, Microsoft, Pearson, Wal-Mart, The Koch Brothers, the Broad Foundation, all private and so called “public” charter schools, the Departments of Education at state and federal levels. Occupy your classroom and teach the arts – teach social justice, history, and the civics including the importance for the freedom of dissent – teach through as much real reform as you can get by with and keep fighting for more! March, protest, strike – your freedom and the freedom of your children is at stake. 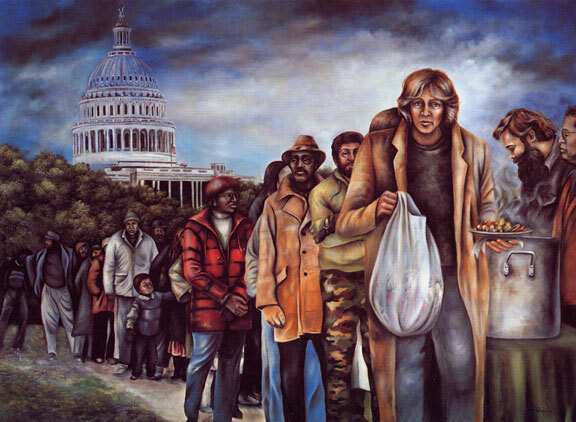 This entry was posted on Monday, June 11th, 2012 at 5:29 am	and tagged with 1984, bill and melinda gates, Brave New World, Dystopia, edward bernays, Galvanic Skin Response, George Orwell, howard zinn, NeoSlavery, Propaganda and posted in All Lives Have Equal Value, Bill Gates, Charter Schools, Civil Rights, Common Core, Common Core Curriculum, Corporate Education DeFormers, Melinda Gates, Oligarchy, Oppression, Racism, Social Engineering, Standardized Testing, Teacher Evaluations, Teachers, Uncategorized, War on Public Education, Working Conditions. You can follow any responses to this entry through the RSS 2.0 feed. I am a special education teacher also…for the past 43 years. I have witnessed the subtle and not so subtle changes in education and have been VERY concerned for years, more like deeply troubled. The Terri Schiavo court ordered death was my ‘red-flag’! I applaud this blog…..It’s all true…and when witnesses as a collective gathering of articles and facts, as you have done here, ALARMING! Thank you ! I am deeply troubled too. Thank you for your support. What actions should we take? What do you suggest readers do about it? So what you are saying is Private Philanthropy is not welcome? I am saying: Bill and Melinda Gates aren’t “private” philanthropists. They are Corporate Vultures. Everything they philanthropic mission they “give to” has big government puppet strings and profit for Gates attached to it. They have their hooks in our government and pull the strings, leaving the voices of all public stakeholders out of our government. Look into their work. They are America’s most dangerous couple. Their philanthropy is a scam. Dig deeper, research. I am astonished that your (livingbehindthegates) deep description of problems and analysis of their sources did not resonate with more readers in the last 11 months since its publication. Your topic of true motives behind the Gates’ philanthropy is quite touchy and complex. Reading your explanations with examples is very convincing, but not in 102% (haha!). We are not able to exclude a scenario that the Gates may have true/honest intentions, but that they also interact with unknown for the public the most powerful organization – the Center Of 1% (CO1%). It can be compared to a Politburo of the richest on a global scale. In the communist countries (my experience) there were PMs and governments with different ministers, but all of them acted acted as puppets with their true mentors giving orders, but invisible for the public (the communist media were forbidden to inform the public about their activities). For the freshly rich like Gates/Wal-Mart’s owners etc. this Politburo (PB) of the CO1% are the real gods and they are allowed to play only a propaganda role portraying the invisible greediest richest & organized (as mafia) as also generous. Just look at this ‘miracle’ that the Gates after giving away not long time ago over 50% of their fortune for philanthropic prograns are now reemerging as the top rich, but it is not my point. 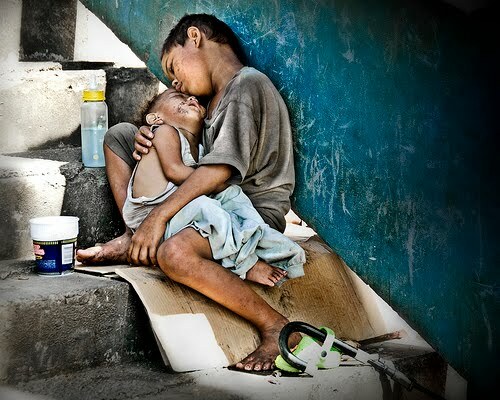 My point is that the Gates as other generous richest do not humbly praise God in their messages. Instead we hear their sounding smart politically correct PR statements and social diagnoses. Truly ruling them ‘Almighty’ PB of CO1% today only wants/demands/achieves more control over the masses what is more difficult to obtain when dealing with religious, respecting local traditions and higher values (not promoted consumerism and cult of money) people. That is why they devalue such values and the Gate’ ‘war for education’ perfectly distracts human attention from global uprooting/fooling whole nations. The communists after gaining power focused their energy on destroying religions, local culture and the middle class/intelligentsia – and exactly the same actions we see today on a global scale done by the monopolized media (MSM), puppet governments with help of many lapdogs like Obama/Harper/Cameron/Merkel/Hollande etc and their provocations.